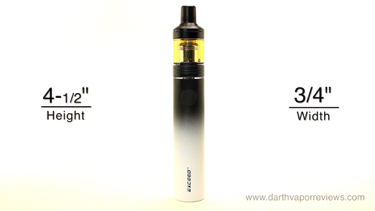 Charge the EXCEED via the micro USB port located on the side of the e-cig. The LED lights will pulse when a charge is needed. 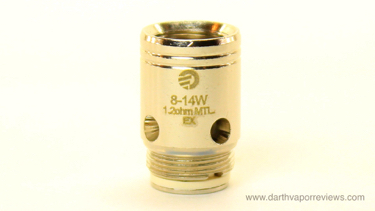 The EXCEED D19 Atomizer is a 510 threaded, mouth-to-lung (MTL) and Direct-to-lung (DL) airflow controlled, top-fill tank with a 2 milliliter e-liquid capacity. It can be disassembled into five main parts for cleaning. * Removable tank with 510 threading. The Joyetech EXCEED D19 is a compact all-in-one 1500mah device with a 2 milliliter e-liquid capacity. The kit comes in a sturdy cardboard box. Inside the box, the kit contents include: a battery user manual, a D19 atomizer user manual, a warranty card, a tank maintenance card, a coil settings card, EXCEED stickers, a spare Gold-platted EX 0.5ohm direct lung coil and a pre-installed EX 1.2ohm mouth-to-lung coil. 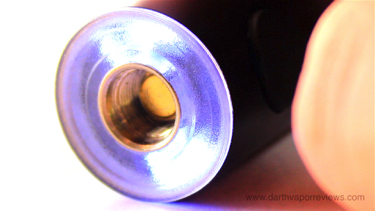 A spare glass tube, spare parts, a USB charging cable and the Joyetech EXCEED D19 e-cig. The EXCEED battery features a one button design. It is 510 threaded with built-in LED lights. It has two modes. With the power button off, long press the fire button for five seconds to switch between Direct Output mode (White light) and Constant Voltage output mode (Orange light). To change a coil, unscrew the old one from the base and add a new one. 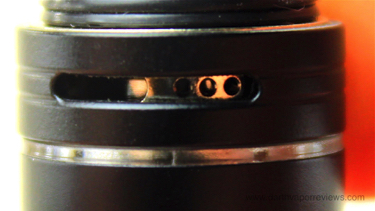 To fill with e-liquid, first prime the new coil with a few drops of e-liquid. 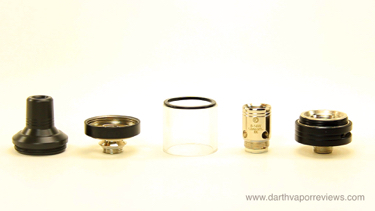 Add the glass tube and screw the top cap into the coil head. 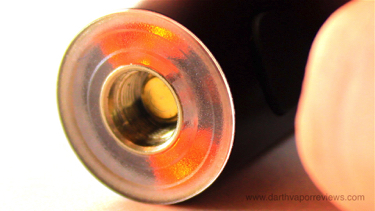 Unscrew the mouthpiece and fill through one of the two slots in the top. Once full, replace the mouthpiece. The EXCEED is roughly 4-1/2" in height by 3/4" in width. The two mode options are cool. The White light is Direct Output mode where the hits get weaker as the battery drains and my favorite mode is Constant Voltage, the Orange light which stays strong until the battery dies. For the small pocket friendly devices, this is one of my favorites mainly because of the longer battery life, but also because the D19 tank and coils produce some really nice vapor. Adjust the airflow for lung hits (wide slot) or (three small holes) for mouth-to-lung. 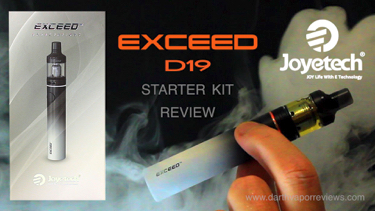 Turn it on with five clicks of the power button and you're ready to vape.The EXCEED D19 is a like a beefier version of the Joyetech eGo AiO ECO. 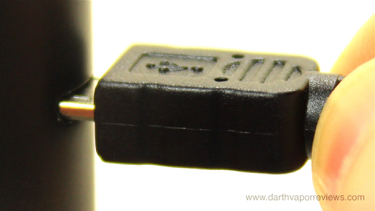 It's a simple one button design device, but unlike the eGo, the D19 has a tank that can be replaced. Between the two, I prefer the EXCEED D19. 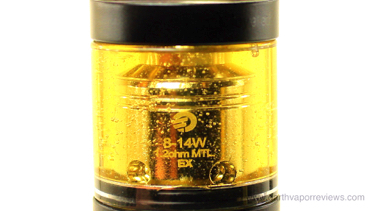 It has a larger battery, larger tank and the battery is 510 threaded so you can use it with other tanks. The Joyetech EXCEED D19 kit currently runs in the $20-$30 range and comes in five colors to choose from.